Step into Paradise and choose from our dainty flower designs. Inspired by the flourish of summer and natures presence, these beautiful pieces will sit proudly against your outfit. 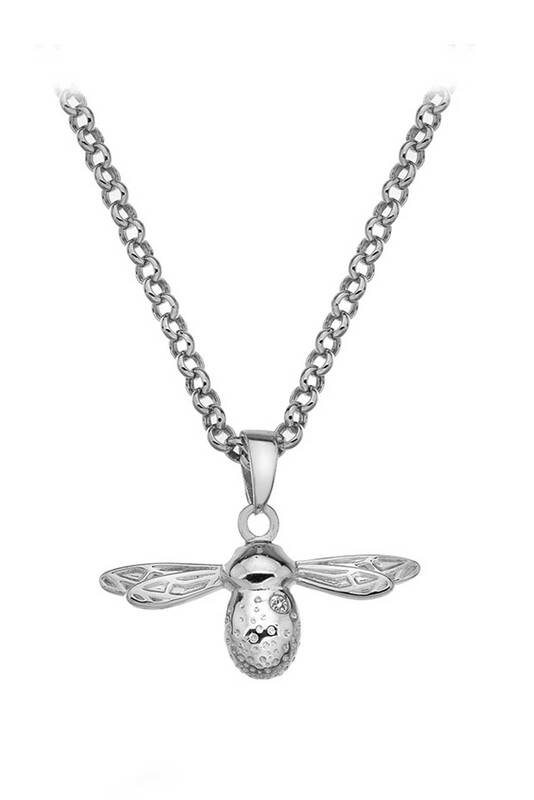 Crafted from 925 sterling silver, this beautiful bee pendant measures 25mm x 18mm and carries a stunning real one point diamond. Included with our 45-55cm belcher chain.